Are you planning a new kitchen but just don’t know where to start? Upcoming holiday hours: We will be closed on Good Friday – April 19 (we are open Easter Monday), and closed ANZAC day April 25. Discussing what type of design and materials are likely to fit your lifestyle and budget. With your input we will then come up with a kitchen design that is within budget, looks great and works in a practical way. 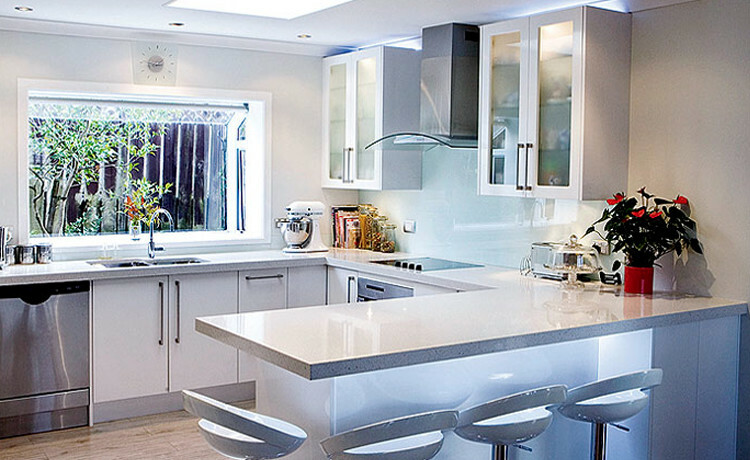 Owned and operated by Malcolm and Lesley McLagan, our experienced team can design and build you a high quality, cost-effective kitchen – whether you are renovating or building a new home. We have designed and built hundreds of kitchens! Our staff have the experience to work with you to come up with a well thought out and practical design. Our designers really DO value your input – so expect a design session that is both fun and stimulating. 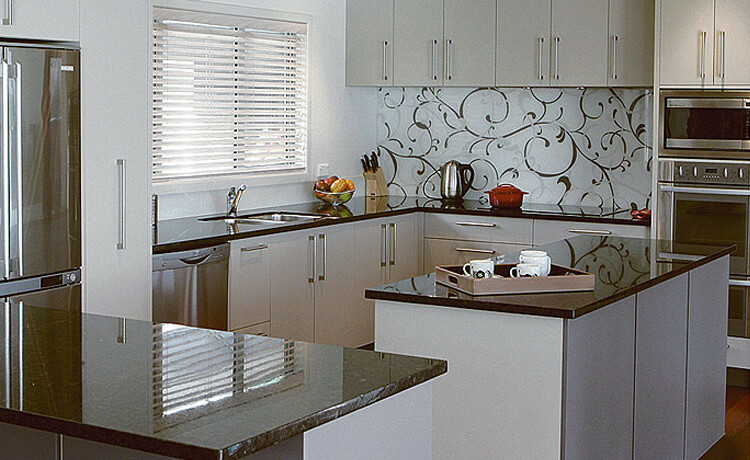 At Mastercraft Kitchens Botany we are a little different from a lot of other companies because we really do value your input into the design of your new kitchen. In fact we want you sitting right there with us as we draw it up on our 3D computer software. Sure, it’s our job to provide ideas and inspiration but we want you involved telling us what you like and dislike. That way we can usually come up with a design in one session rather than you having to make multiple visits. Customers who have been to other companies often tell us that when the plan has finally been presented to them it simply doesn’t represent what they have discussed. That’s because the designer has drawn the plan in isolation and has misinterpreted what the client really wants. With Mastercraft Kitchens Botany that can’t happen as you are involved right through the design process. Our showroom is open 7 days a week in the Botany Town Centre. 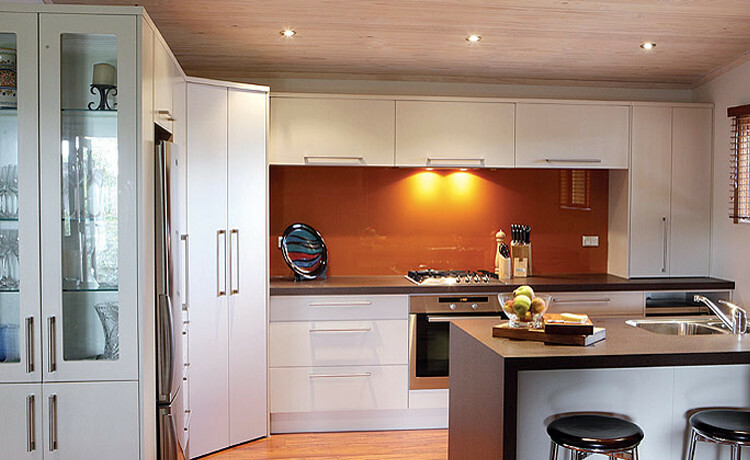 With ten kitchens on display you will experience a range of layouts, material and colour combinations. 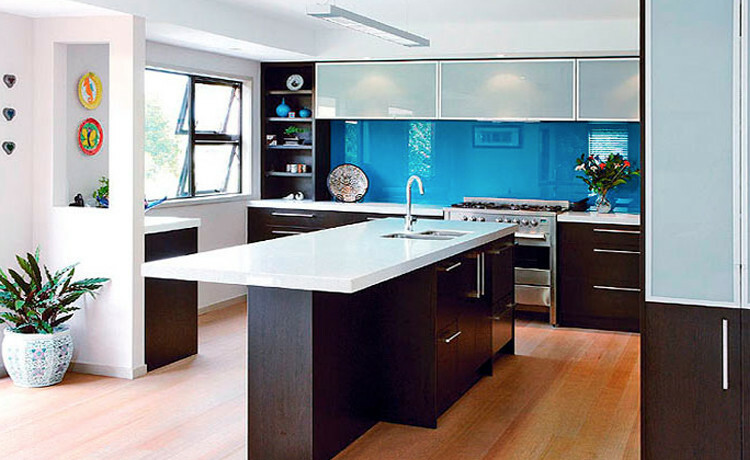 We showcase cabinet, bench top and splashback materials with hundreds of colour choices. Kitchen manufacture and installation – we do it all! 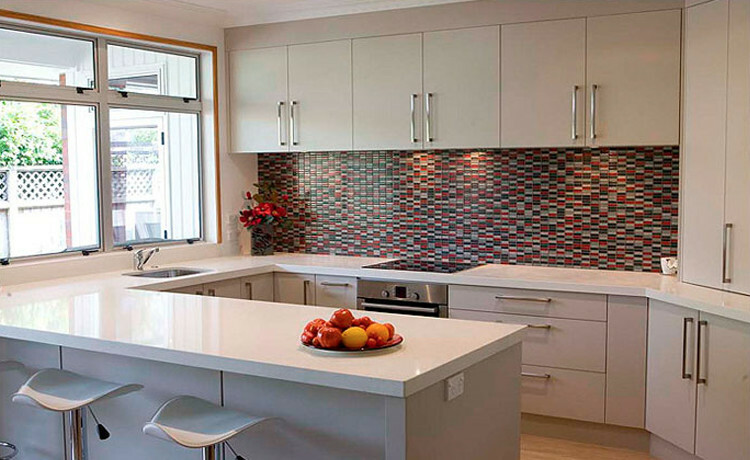 We custom-build our kitchens just down the road in our East Tamaki factory. We don’t operate with pre-set cabinets so your design won’t be compromised by standard modules and filler panels. Most customers choose to take their kitchens to ceiling height to maximise storage and give a true designer look. We operate our own team of experienced installers and can recommend reliable electricians and plumbers. 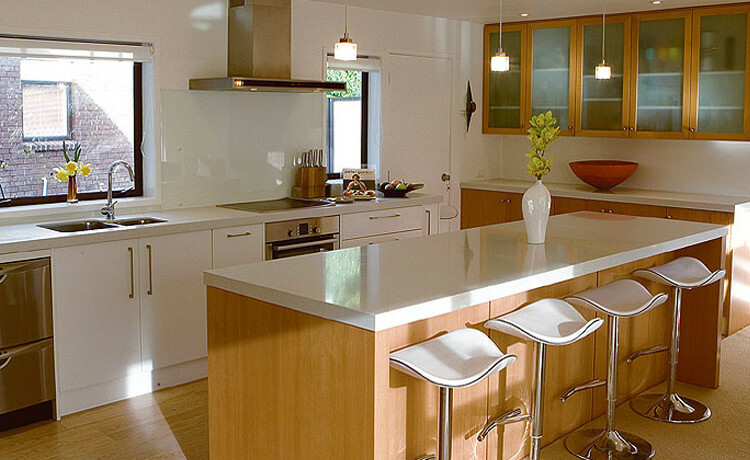 All kitchens we create are built from high moisture resistant board to prevent moisture damage. Even our most cost effective kitchens feature top quality soft close drawers and hinges sourced from European suppliers. Are you ready for the kitchen of your dreams? If you are ready to have your new kitchen designed phone or email for an obligation free showroom appointment. Expect to spend approximately one and a half hours with one of our experienced designers. 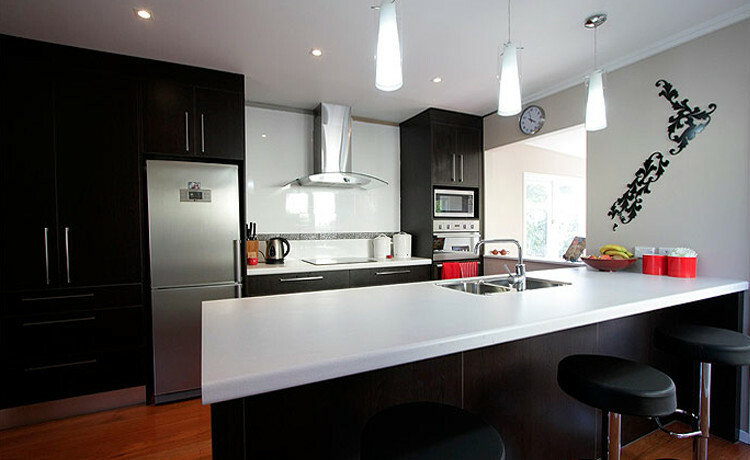 You will leave this appointment with coloured 3D printouts of your new kitchen design together with indicative pricing. If you are still thinking about a new kitchen project but haven’t yet got to the design stage then please visit us. We are open 7 days a week. We will answer your questions and give you unbiased advice in a pressure free environment. Auckland Central, Mt Wellington, Greenlane, Remuera, Panmure, East Tamaki, Manukau, Dannemora, Papatoetoe, Whitford, Beachlands, Maraetai, Howick, Pakuranga, Orakei, St Heliers, Glen Innes, Glendowie, One Tree Hill, Three Kings, Flat Bush, Highbrook, Otahuhu, Papatoetoe, and surrounding areas.